Disregarding the specific sector of your industry, as a local SME, you will have competitors. The very principle of modern-day capitalism is the fact that you will be pitted against not only other small and medium-sized firms but also large corporations. To be frank, larger corporations won’t give a hoot about your company, but your small business does get affected by the overall conditions that prevail in that market. It’s not about the competition, it’s about standing out in it. GMB is an effective factor to implement in terms of the high number of results you can get. Listing your business in Google My Business lets your company’s information pop up on the right side of the results section on Google. When you list your company on GMB, several important information such as the address of your office, working hours and even customer reviews can be seen with one simple click by a user. In fact, GMB profiles that have relevant information and more customer reviews will receive a better ranking. Listing your business on GMB can be a good practice especially in the beginning of your entire SEO strategy. This is where it can get tedious for most of us. On-site SEO takes time and resources to fully infiltrate the market. Nevertheless, it is a great practice and should be taken care of on a monthly or weekly basis. On-site SEO primarily depends on various factors such as content readability, length and keyword optimisation. As mentioned before, readability and length are two aspects that are very important in terms of local SEO. Your site should have an optimal word count that reflects your business. The sentences should be less than 20 words, this can be considered as a threshold. Google prefers to rank those websites high where readability measure is high. Your content’s style should be geared toward easy verbiage. Remember you are now writing good and quality content for users visiting your website and not the bots that crawl your site. It is also important to keep your content fresh and keep re-writing content as Google favours new content. Social media has become increasingly influential in our daily lives. Many SMEs often try to target social media alone. If you approach it the right way, chances are you can do wonders with it. The relationship between SEO and social media is a complicated one and not necessarily related. However, social media optimisation is a real thing and it can really boost up your search appearance on Google or other search engines. Once you establish an online presence on social media, people will search for your company on search engines which can improve your company’s visibility. Local SMEs often fail to realise how essential a website can be. Not in the terms of how it looks, but in terms of how it can engage an audience. Websites are the single most important factor that can make or break your entire SEO strategy. This specific terminology refers to the rate of visitors on your site that enters on the first page and leaves without visiting another page on your site. A lower bounce rate can improve your rankings on Google. This one is simple, the longer a visitor stays on your site, the better Google deems your website. This can be achieved with engaging content. Your website should be user-friendly on mobile. Many users prefer using smartphones or tablets over laptops so you should make sure that your website has optimal performance across all popular platforms. We have entered a ‘mobile-first’ approach to SEO which demonstrates the importance of your website being optimised for mobile. The latest SEO factor that has been recognised by Google is the fact that having a video on your website can further your chances to increase a higher ranking. This video should, of course, be relevant to your business and should be able to captivate. Google does review your visitors’ behavioural signals in order to determine ranking so it is important to look further into the above factors. It’s time to start running some ads! 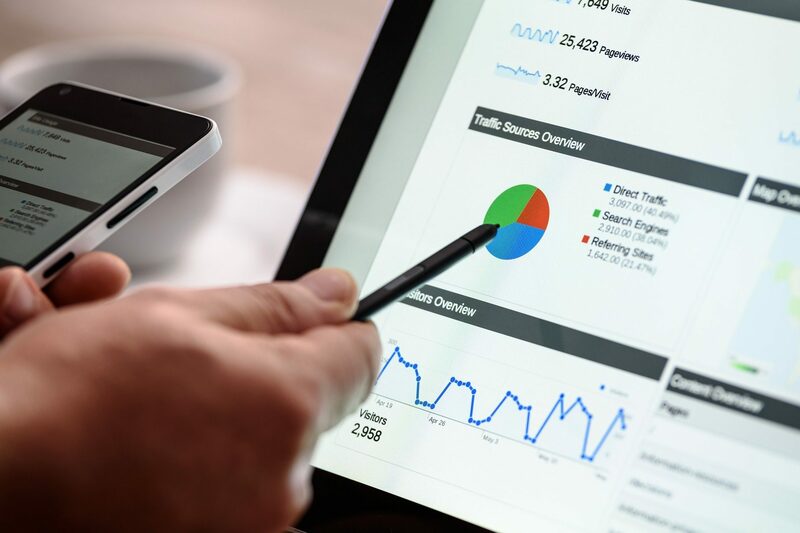 Even though PPC doesn’t directly affect your organic rankings it can still indirectly contribute towards your online presence and organic growth. Searchers who see your ad may familiarise with your brand so can be more likely to click on your organic list. Other advantages include clicks on paid ads possibly leading to increased links, coverage, mentions and sharing etc. which can boost organic rankings. The six factors described above can really help drive traffic on your website. After all, let’s not forget our primary objective which is to convert traffic into leads and then sales. Local SMEs face a daunting task in the online world but if you follow the right approach and implement and analyse different factors you can then thrive in your industry online.